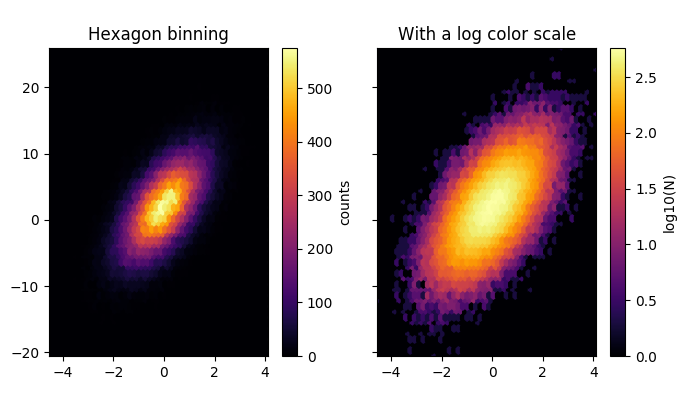 Hexbin is an axes method or pyplot function that is essentially a pcolor of a 2-D histogram with hexagonal cells. It can be much more informative than a scatter plot. In the first subplot below, try substituting ‘scatter’ for ‘hexbin’. 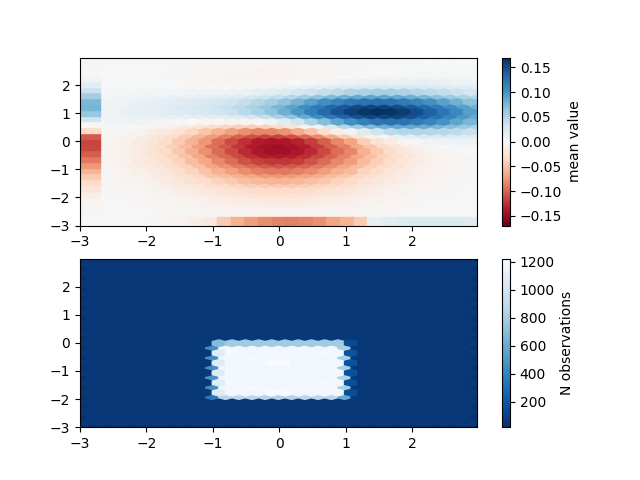 Below we’ll simulate some 2-D probability distributions, and show how to visualize them with Matplotlib.